This collection is bigger on the inside! 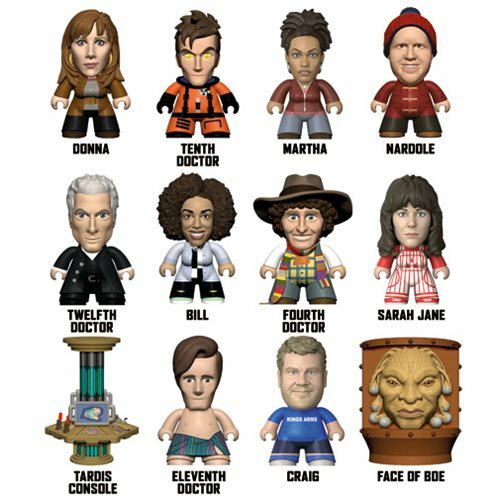 Relive the friendships that have made the Doctor the man he is with Titan Merchandise's series of Titan mini-figures based on famous companions. The Partners in Time Collection celebrates some of the Doctor's most popular friends and companions from across time and space. Featured within the range are the 4th Doctor with Sarah Jane Smith, the 10th Doctor joined by Martha Jones and Donna Noble, the 11th Doctor and his sometimes-flatmate Craig, and the 12th Doctor with his sparky companion Bill Potts! As a special treat, also included are the mysterious Face of Boe and a 3-inch vinyl version of the TARDIS console!